BELCAM is a four years research project funded by Belspo, the Belgian scientifique policy, as part of the STEREO III program. The project aims to use earth observation in order to monitor agriculture at parcel levels. Four scientific partners (UCL, ULg, VITO and CRA-w) gather together with an international partner (INRA) to lead the BELCAM project. With the help of the pilot centers and farmers they will develop products and services which will be available on an interactive platform. Thanks to this collaboration the partners expect to deliver 6 Earth Observation target products to professionals along 3 seasons. The management strategies of agroecosystems have evolved during the last 50 years consisting of intensifying the use of agrochemicals and agricultural machinery, expanding irrigated areas, and incorporating new crop varieties. But as excessive use of input also plays a significant role in the degradation of our environment, for the optimization of the cultivation of some crops (winter wheat, maize and potato), rates of nitrogen fertilizers application are balanced at field scale according to the crop’s needs. Good practices in management of nitrogen inputs have several economic and environmental (run-off, leaching…) benefits and increase yield and quality of the crop. 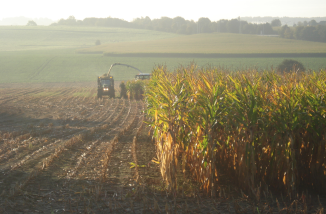 Optimized fertilization practices as well as winter cover crop reducing erosion and leaching are in line with the evolution of cropping systems toward a sustainable agriculture, sometimes called conservation agriculture. 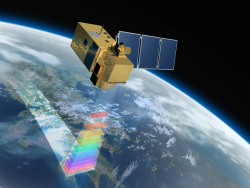 The advent of a new generation of high spatial and temporal resolution satellite sensors (as Sentinel-1, Sentinel-2 and PROBA-V) opens the doors to develop new prototype applications much more connected to the so called end-users. Building on the most recent remote sensing and Information and Communication Technology penetration, the research challenge is to completely change the interactions between information users and producers and to markedly speed up the critical learning process for the remote sensing providers thanks to input and near real time feedbacks from the users. 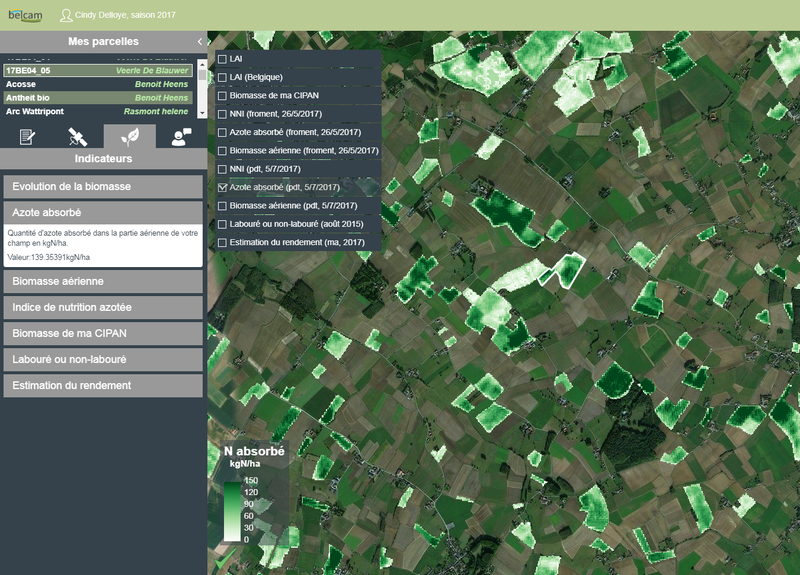 Belgian remote sensing labs are well recognised in international agriculture EO community. Securing food supply while reducing environmental impacts is a key challenge for our globalized society. 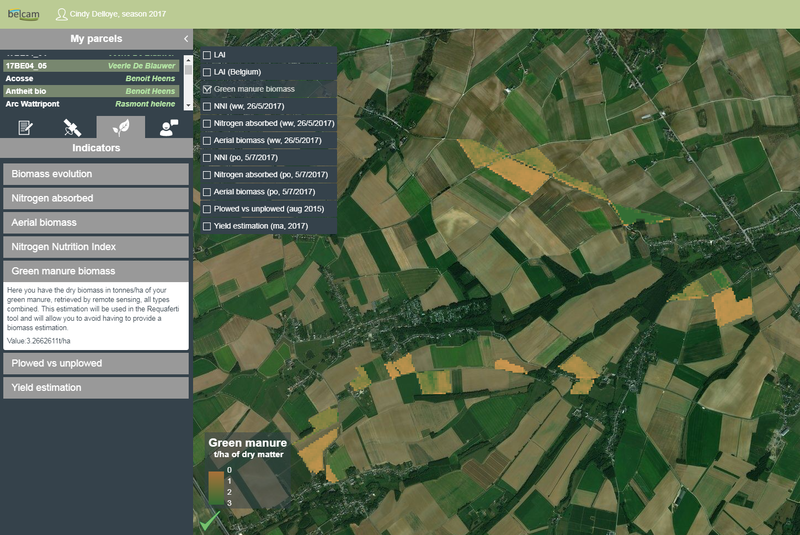 This project, working on a JECAM site and taking advantage of the BELAIR campaigns, will largely contribute to GEOGLAM, an initiative supported by the G8. Indeed, in the era of Sentinels and PROBA missions, Belgium is a very interesting experimental site to design and test innovative methods for a collaborative information system because of its crop diversity, landscape fragmentation, atmospheric variability, and all the already available data sets (digital soil map, annual field delineation, etc.). 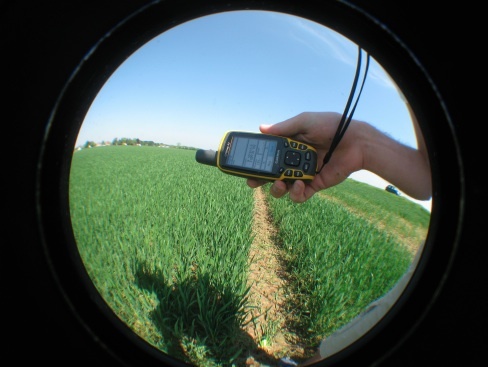 The development of this BELCAM prototype is built on already existing in situ monitoring practices (winter wheat, potato) and on interactions with the pilot centers providing demonstration fields distributed all over the country. 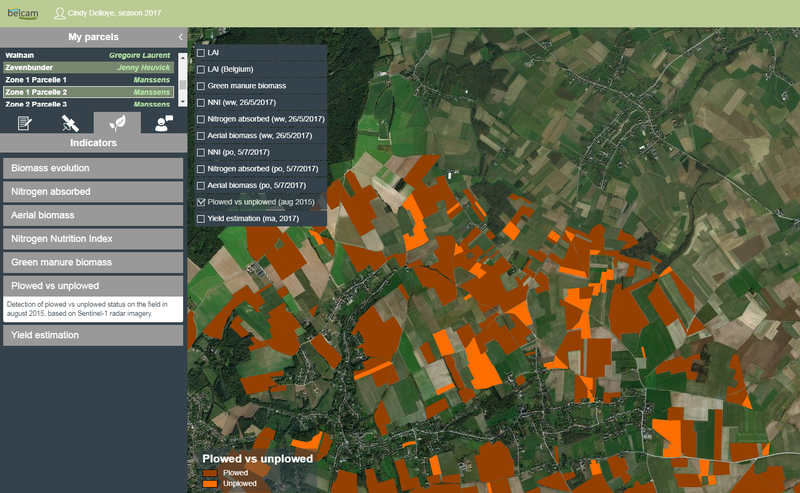 The BELCAM objective is to develop services to improve agricultural practices in Belgium. To achieve this goal the partners want to speed up the information loop between users, developers and information providers to improve the transfer of training through an interactive platform gathering all geolocated data. The second collaborative component corresponds to professional crowdsourcing based on the near real time transmission of information locally collected by professionals to enrich along the season the processing of satellite time series through machine learning techniques or algorithm tuning. The outcome of this objective is the concept of the Collaborative Agriculture Monitoring (CAM). During the BELCAM project, three crop types are observed: Winter wheat, maize and potatoe. 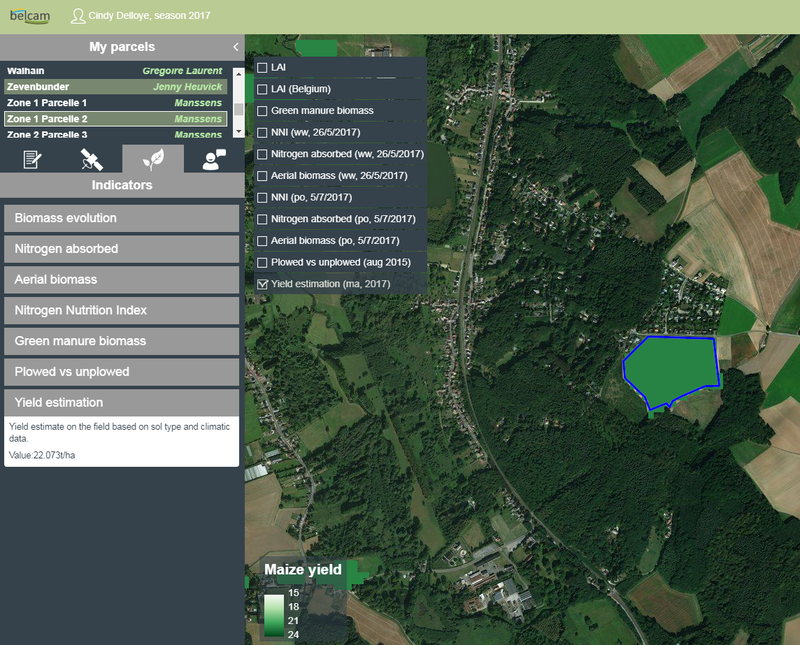 How to conceptualize and experiment collectively an open collaborative agriculture monitoring system supported by local and satellite remote sensing? Building on the complementarity of local (professional crowdsourcing) and satellite remote sensing technologies, the research aims to develop a new collaborative pathway for operational remote sensing monitoring at the local level for one of the most dynamic and most widely distributed applications: crop monitoring. The cornerstone for such a field level monitoring will be the use of on farm information in near real time to support remote sensing services. Emphasis is given to the shortening of the information loop linking the producer and the users. 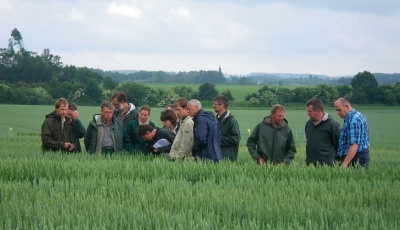 The main objective of the project is to develop remote sensing methods and processing chains able to ingest crowd sourcing data provided by farmers or associated partners either on voluntary basis or through information service exchange to deliver relevant and up-to-date information at the field and district level. The information chain involve satellites, researchers developing methods, pilot centers and farmers. What are the sources of variability of the retrieval performances for several biophysical variables? The second research question investigates the sources of variability of the remote sensing retrieval performances for several biophysical variables such as the chlorophyll concentration, the Nitrogen content, the fAPAR, the LAI, the biomass as well as for major stress and pest damages. The outcome of this research question will be a set of crop information products relevant for practical use at field level and at administrative level. What are the mechanistic relationships between crop yield and the available EO observations and how to design a new (semi-)mechanistic model ingesting the remotely sensed variables or metrics? 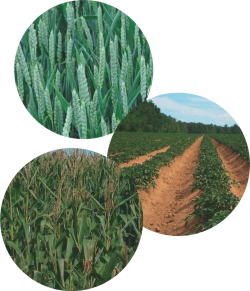 The third research question aims to address the change of paradigm in crop modeling. Indeed, most of the existing crop growth models have been developed in data poor contexts, referring to the ‘80s and ‘90s. The emphasis was on a mechanistic approach to reproduce the physiological processes leading to the potential yield only. This third research question is to identify the mechanistic relationships between crop yield and the available EO observations and to design a new (semi) mechanistic model ingesting the remotely sensed variables or metrics. These three scientific questions described above will be addressed in parallel as they will interact progressively along the course of the project. 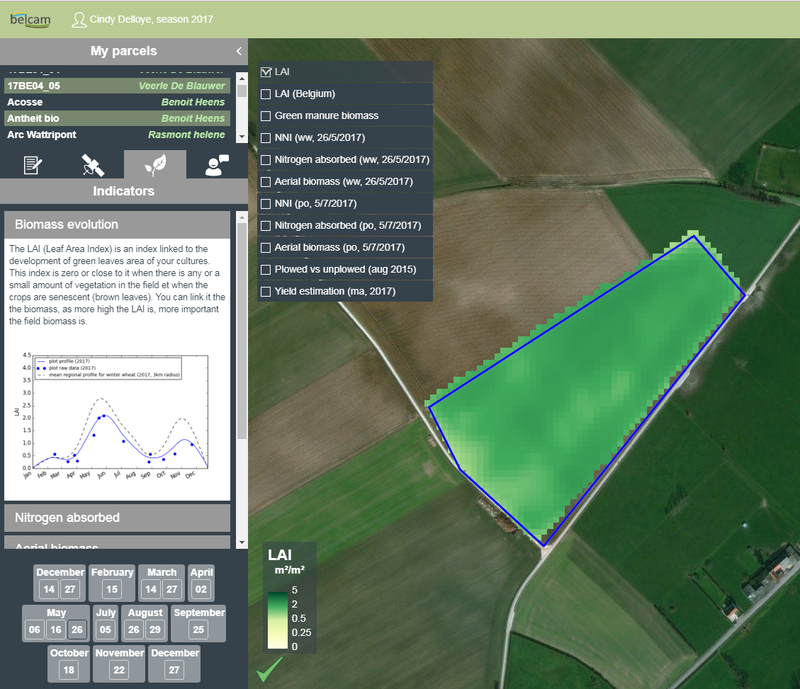 The overall outcome of the project is a prototype of a Belgian Collaborative Agriculture Monitoring system (BELCAM) allowing continuous improvement of remote sensing outputs on one hand to support farming advices at the field level, and on the other hand, to contribute to operational agriculture services for their a posteriori growing season analysis (stress, diseases and impact assessment according to regions). The working assumption of the BELCAM relies on the fact that the professionals providing information in a crowdsourcing mode (possibly anonymously but always geolocated at the field level) will obtain a more reliable information from satellite remote sensing than the ones not involved. The research strategy will proceed by increasing progressively the number of professional partners involved in the collaborative dynamic, the sources of the satellite data along with their actual availability and the development of different methods and information products. Annual Nitrogen balance-sheet forecast at field level, based on the Livre Blanc for the winter wheat and Requaferti (winter wheat, potato and maize). These existing balance sheets are adapted to take into account the information gathered at the field scale from satellite images. The information included is the biomass of the green manure before harvesting and the current biomass of the considered crop (winter and potato). This method adjusts the fertilization advice according to the crop need. Potato/winter wheat Nitrogen status at the parcel level. Two information are available for the farmers: (i) the nitrogen absorbed by the crops (in kg/ha) allowing them to compare the different fields of their farm and (ii) the Nitrogen Nutrition Index allowing the farmer to decide whether an additional N application is required or not. 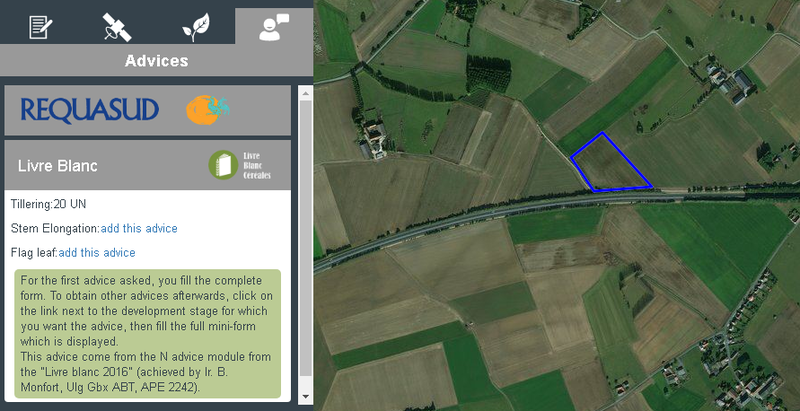 Development monitoring (based on GAI) for potato/winter wheat/maize along the season and comparison with the development of the fields in 4km² area in the same agroecological zone. 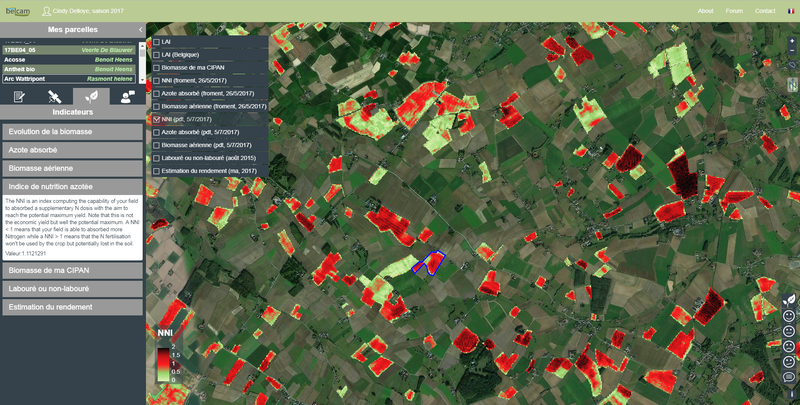 Biomass (t/ha) of the green manure at the parcel level mid of November (according to images availability). Yield estimate from the newly developed model aggregated at the district level. Detection of unplowed fields at the end of the year. UCL, ULg, VITO and CRA-w gather together with INRA to lead the BELCAM project.